Gautam Bhatia’s book ‘The Transformative Constitution: A Radical Biography in Nine Acts’ discusses among other cases, the judgments decriminalising section 377 and allowing women’s entry in Sabarimala. Gautam, a practising lawyer in New Delhi, went back to re-read a lot of the constitutional canon he was taught in college – National Law School of India University, BCL and MPhil at the University of Oxford and LLM at Yale Law School. Gautam found that on issues of civil rights, the judiciary's record was far patchier than what was taught in college. “It was in the course of that reading that I came up with the idea of writing about an alternative constitutional canon, which - in my mind - was truer to the Constitution's transformative purpose,” he writes in an email interview. The title in full is – The Transformative Constitution: A Radical Biography in Nine Acts. He chooses nine cases to discuss, but it is not written entirely in legal vocabulary and can be of interest to non-lawyers with an interest in the Constitution. 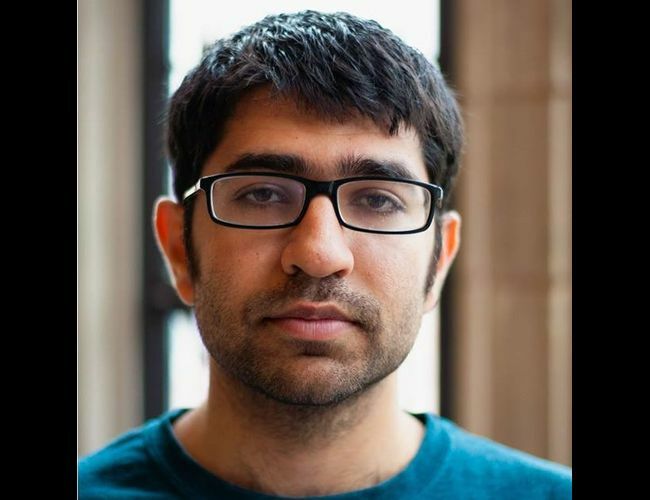 “It's a book about the Indian Constitution, and more specifically, about the social movements during colonial times that were aimed at securing rights, how those movements played into the drafting of the Constitution, and how that helps us in understanding the Constitution today,” Gautam explains. The nine cases include the much-debated decriminalising of section 377, and the verdict allowing women of all ages to enter the Sabarimala Temple in Kerala. “On 377, I don't see what the cause for controversy is - criminalising a community of people on the basis of sexual orientation is straight-up unconscionable, and violates the most basic constitutional guarantees. Sabarimala is a far more difficult case, but what swings it for me there is that the justifications offered for the exclusion of women - i.e., the celibate character of the deity and/or the impurity of menstruation are arguments that are not limited to the religious sphere, but have been invoked in various domains to the disadvantage of women. That's why I don't think Sabarimala is purely a case about faith - it goes beyond that, and it's about equal moral membership of the society," he says. The nine cases have been grouped into three sets of three, under the broad headings of equality, fraternity, and liberty. Under equality, Gautam discusses 'Anuj Garg', a case which struck down a law that prohibited women from working in bars; 'Naz Foundation', which decriminalised section 377; and 'N.M. Thomas', which articulates the basis for caste-based reservations. Under fraternity, Gautam looks at cases that deal with the relationships between individuals and powerful social groups: 'IMA' (Indian Medical Association) looks at discriminatory access to schools; 'Saifuddin' deals with the power of religious communities to excommunicate their members; and 'PUDR' (Peoples Union of Democratic Rights) examines the idea of minimum wage and forced labour in the employment context. Finally, under liberty, the author examines 'Sareetha', an Andhra Pradesh High Court judgment that dealt with ideas of force and freedom within the family, 'Jyoti Chorge', which looks at personal liberty under anti-terror laws, and 'Selvi', which addressed the issue of custodial interrogation techniques such as narco-analysis. When you ask him about the concerns raised by certain parties of the Constitution coming under threat, Gautam reminds you that it has been amended 103 times since it was made in 1950. “It is a flexible document that is meant to be accommodative, and to change with the times. Insofar as deeper changes are attempted - that aim at changing some of the fundamental constitutional values - they will be tested by the judiciary on the anvil of the basic structure doctrine. Ultimately, however, changes in the text of the Constitution matter less than the extent to which constitutionalism has become embedded as part of our daily vocabulary and ways of thinking,” he says.